On this page you'll find a number of instruction videos to help you get started using the dashboard and the designer. In this video we show you how to create a simple page with a number of basic elements: box, text and image. It shows how to add elements to a page, change its properties, create a page layout and manage your pages. In this video we show you how you can put your pages in a certain playback sequence using playlists and how you can get a playlist to show on your digital signage screen via channels. When you create a lot of pages, it is convenient to have the means of organizing them. Folders enable you to organize your pages just like you are used to with files on your computer. In this video we show you how that works. 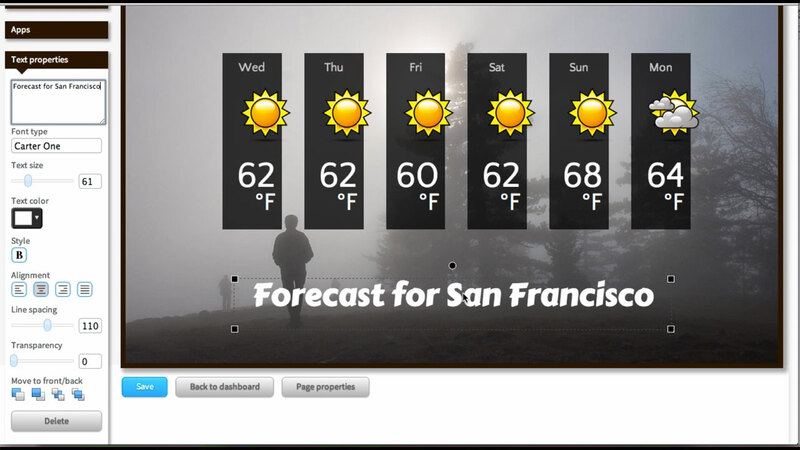 In this video we show how to create a page with a weather forecast using the Weather app. 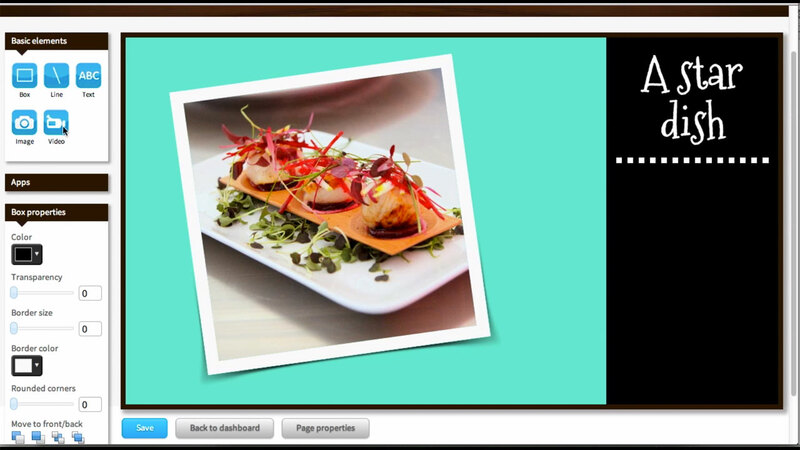 In this video we show how you can add videos from YouTube and Vimeo to your pages. 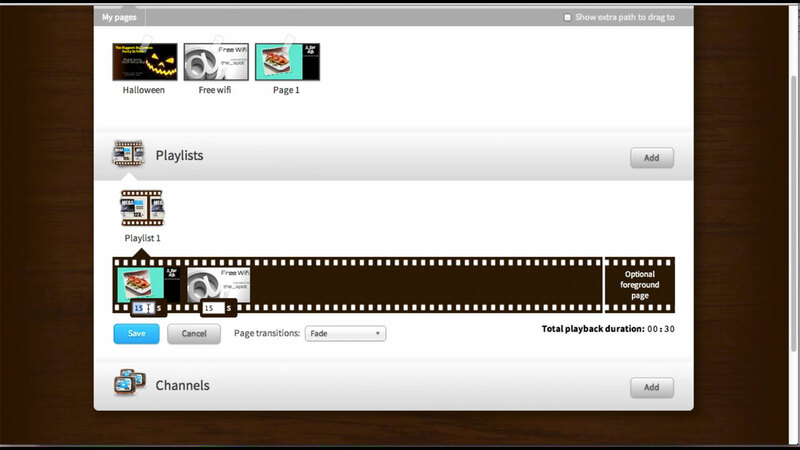 We also show how you can upload your own videos and add them to your pages. 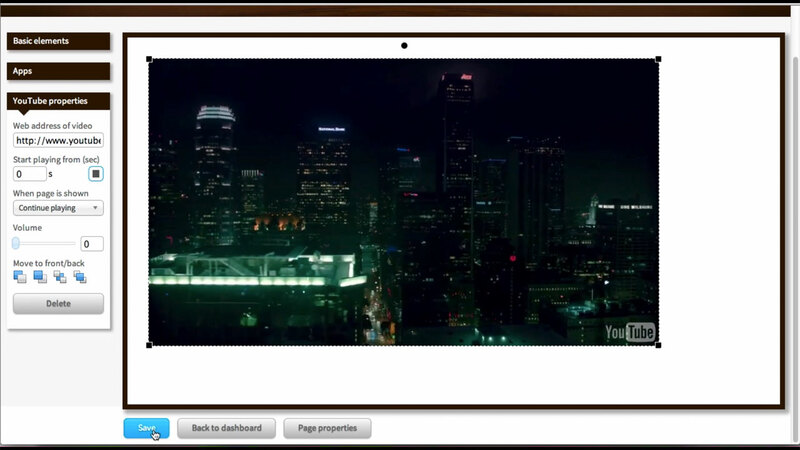 This way you can add product videos or background videos to a page. 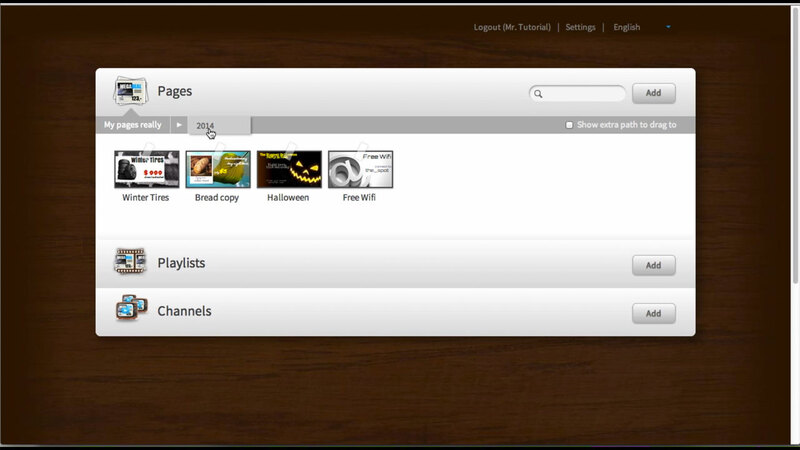 Note that video apps are not available in all subscriptions. In this video we show how you can add your own data as separate articles to your pages and -for example- have them run across your screen in a ticker. 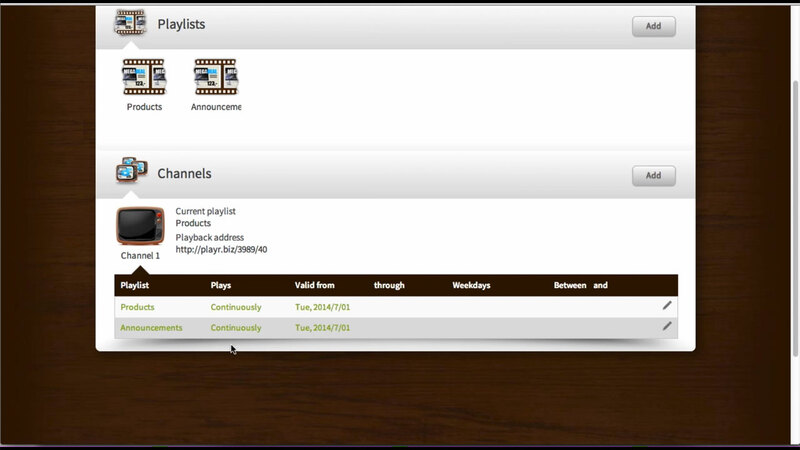 In this video we show how you can schedule multiple playlists for either continuous or incidental playback in a channel. 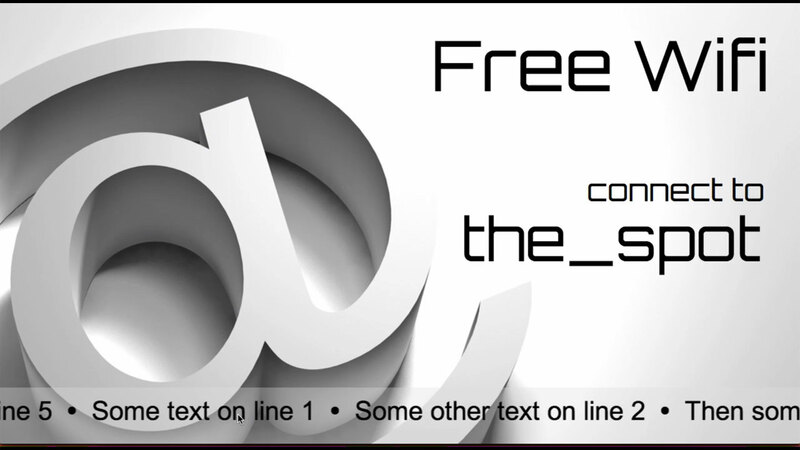 Note that this functionality is not available in all subscriptions.